When it comes to impulsivity and aggression, depression in children may play a role. Some research finds that impulsive and aggressive behaviors are associated with depression in children and adolescents. For some depressed children and adolescents, their emotions may cause them to feel angry toward the people or things that they believe are the sources of their pain, leading to impulsive and aggressive reactions. Major depression and bipolar disorders are risk factors for aggression, according to Christopher J. Ferguson, Ph.D., and colleagues, who published a study of youth suicide risk factors in Psychiatric Quarterly in 2005. In fact, social isolation in combination with depression is a specific risk factor for aggressive behavior in school-aged children. That's why children who are hospitalized for severe mood disorders—and thus are at risk for social isolation — are closely assessed for impulsive and aggressive behavior risk. Impulsive and aggressive behaviors are more commonly reported in depressed boys than in girls but can occur in both. Impulsive behaviors are quick reactions to events (usually negative) without regard for consequences. For example, a telephone call revealing unwanted or negative news may lead to a child throwing the phone and breaking it. Impulsive behaviors often, but do not always, lead to aggressive behaviors. Aggressive behaviors may be directed inward in the form of self-injury, or at someone or something else through angry outbursts, harassment, property damage, or violence. To continue the example, as a result of the news of the negative event, the child may then seek to verbally or physically harm the person who delivered the bad news. These examples are not representative of how all children with depression would react in a negative situation. In fact, impulsive and aggressive behaviors are frequently associated with disruptive disorders such as conduct disorder and attention deficit hyperactivity disorder (ADHD), and personality disorders such as borderline, narcissistic and histrionic personality disorders. A child with impulsive or aggressive behaviors in some cases may be described as "hot-headed," "aggressive," "angry" or "unpredictable." 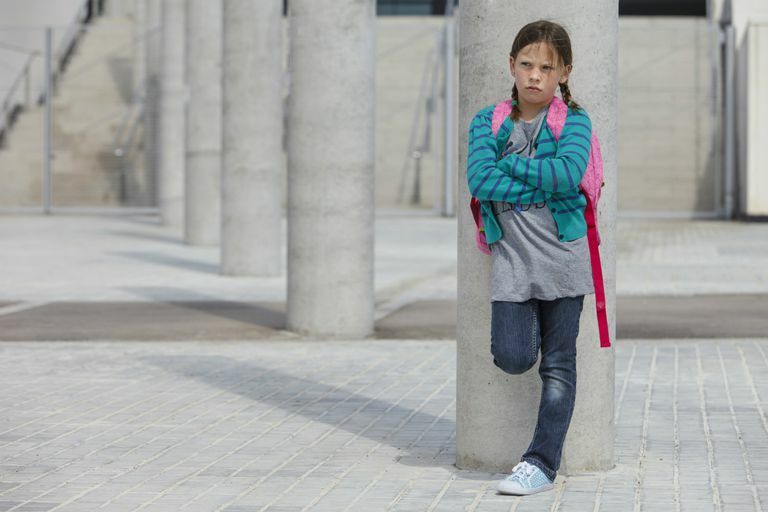 If you notice that your child is displaying impulsive or aggressive behaviors directed at herself or others, talk to her pediatrician or other mental health care provider to find the source of her behavior and seek treatment. High levels of impulsive and aggressive behaviors are associated with risk of suicide in children and adolescents, making effective treatment even more important. If your child does have depression with impulsive and/or aggressive behaviors, certain treatments may be more effective in decreasing these behaviors, such as coping skills training, anger management and certain medications targeted toward impulse control. Cristopher J. Ferguson, Ph.D., Patricia M. Averill, Ph.D., Howard Rhoades, Ph.D., Donna Rocha, M.D., Nelson P. Gruber, M.D., Pushpa Gummattira, M.D. Social Isolation, Impulsivity and Depression as Predictors of Aggression in a Psychiatric Inpatient Population. Psychiatric Quarterly. >76(2); Summer 2005: 123-137. Johanne Renaud, Marcel Berlim, Alexander McGirr, Michel Tousignant, Gustavo Turecki. Current Psychiatric Morbidity, Aggression/Impulsivity and Personality Dimensions in Child and Adolescent Suicide: A Case-Control Study. Journal of Affective Disorders. 2008; 105: 221-228. Larry J. Siever, M.D. Neurobiology of Impulsive-Aggressive Personality Disordered Patient.